We invite applications from University of Notre Dame PhD and JSD students interested in becoming a part of a vibrant interdisciplinary community centered on international research themes of democracy and human development. As a doctoral student affiliate, you have multiple opportunities to engage with the Kellogg community to enhance your wider experience at the University of Notre Dame. In turn, your participation in Institute activities enriches our intellectual community. What can I do as a doctoral affiliate at the Kellogg Institute? Tuesdays at 12:30 pm and Thursdays at 4:00 pm, respectively, during most weeks when classes are in session. Reach out to the over 100 Notre Dame scholars whose research is at the core of the Institute’s work. Get to know outstanding scholars from around the world undertaking international research in a variety of disciplines. At Kellogg, meet other students from around the world who share the Institute’s international and thematic interests. ... or work with a Kellogg faculty fellow to propose a new one! 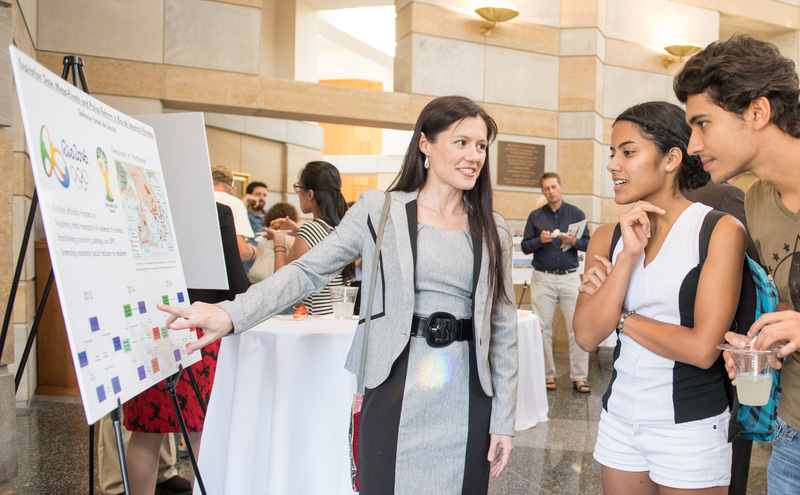 Working groups bring together faculty and students from across the University to focus attention on emerging research themes or topical, interdisciplinary issues. Nomination by an Institute faculty fellow or your director of graduate studies. Successful applicants will demonstrate an interest and clear connection to the work of the Institute and its faculty fellows. Invitations to major academic events, receptions, and other networking and social events hosted by the Institute. Keep up on featured stories related to our Doctoral Student Affiliates.